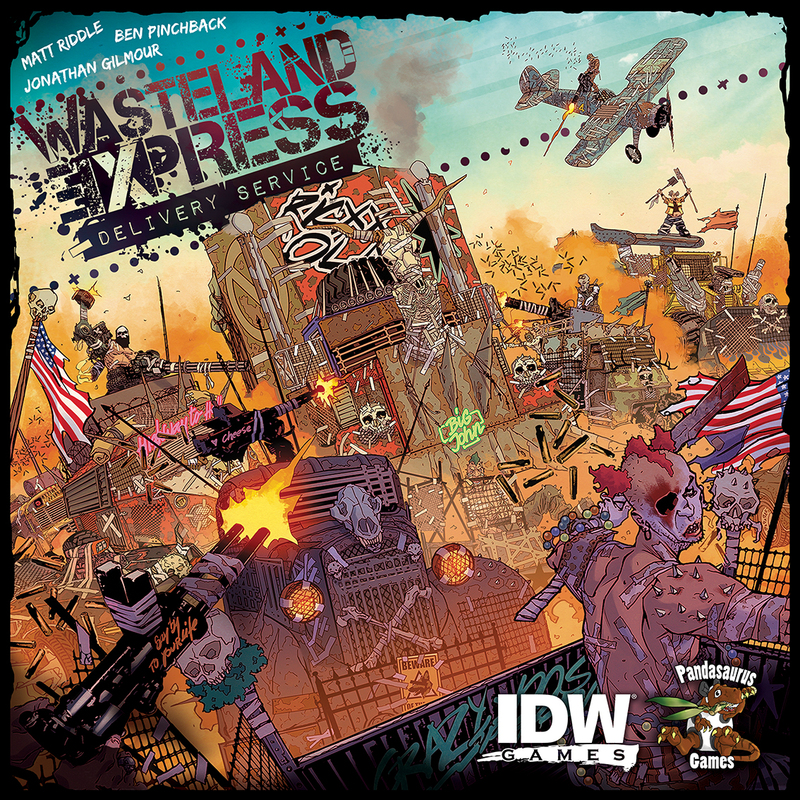 Wasteland Express Delivery Service is the depraved brain child of mega designer Jon Gilmour (Dead of Winter), Matt Riddle (Fleet, Back to the Future) and Ben Pinchback (Fleet, Back to the Future), brought to technicolor life by award winning comic artist, Riccardo Burchielli (DMZ, Batman Black and White). In Wasteland Express Delivery Service, you take on the role of drivers inhabiting a post-apocalyptic wasteland riddled with outrageous, unhinged, and otherworldly characters set on unleashing mayhem at every turn. 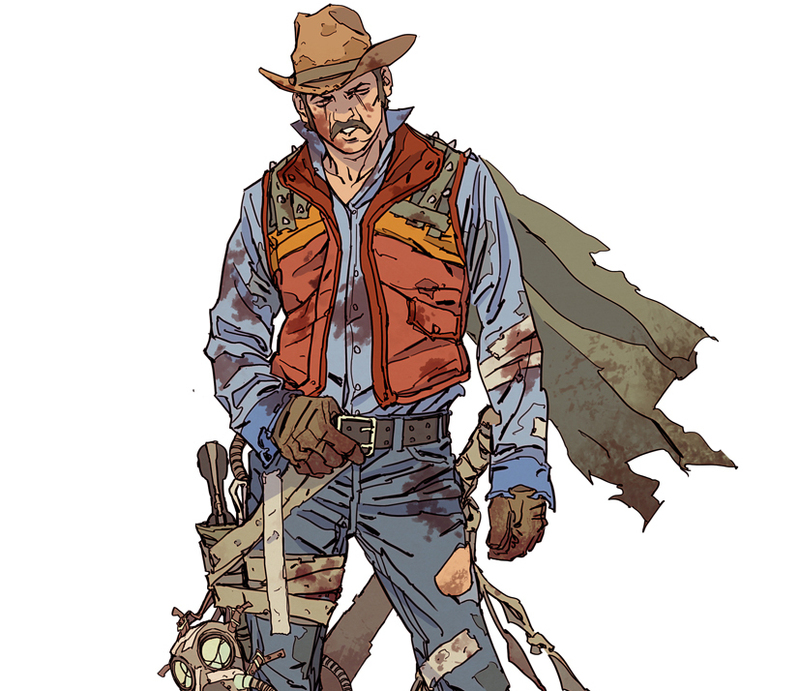 To survive in this deranged universe, drivers must deliver food, water and guns between the handful of settlements pockmarked through the Wasteland. You must battle through insane raiders who occupy the void between cities, taking on missions from the three factions that have divided up the last of civilization to gain favor with them: the fascist New Republic Army which is hellbent on bringing the world to heel for its own good; the heretical Oracles of Ceres who have turned their attention to the worship of the land; and the technologically obsessed Archivists who cling to the old ways and the hope of restoring our lost civilization. But what do you care? You’re here to get paid and live another day free. Outfit your truck, hire some insane riders to help fend off raiders, add some storage, and just keep truckin’.